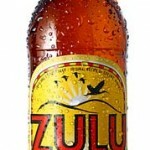 Zulu Blonde is The Zululand Brewery‘s flagship beer, and is only available on tap at the Happy George Pub at The George Hotel in Eshowe. 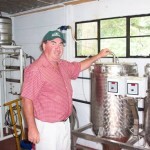 Graham Chennells began brewing beer in the mid nineties, where he started to develop the fine recipe of what was to become the popular Zulu Blonde. 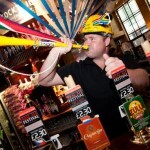 Zulu Blonde launched internationally in April 2010 where brewmaster Richard Chennells brewed Zulu Blonde Export Ale at Marston’s Brewery in Burton-upon-Trent in the UK to supply 800 pubs for the JDWetherspoons International Real Ale Festival. 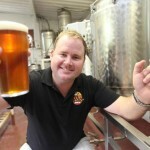 Out of 50 different ales Zulu Blonde was voted number 1 and sold out in the first week of the three week festival. 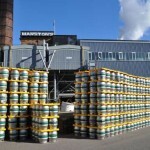 Because of its success, Richard was invited back to the UK to brew another 120 000 pints at Everards Brewery in Leicester, and Zulu Blonde went back into Wetherspoons’ 800 pubs in time for the Fifa 2010 World Cup Kick off. 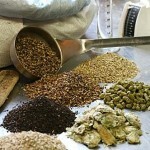 Zulu Blonde now has contract brewing operations in South Africa and the UK (Everards) and will shortly have operations in the Czech Republic and Belgium.